NSW Deputy Opposition Upper House leader Walt Secord said he would put his name forward as deputy chair of the NSW Parliamentary Friends of Israel when the parliament resumes. 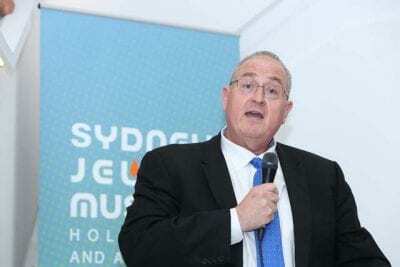 A former journalist at the Australian Jewish News, Mr Secord is Labor’s Health and Arts spokesperson and has been deputy chair of the parliamentary friends since mid-2011, when he helped re-form the group. Mr Secord said he looked forward to seeing newly elected Coogee Labor MP, Dr Marjorie O’Neill joining the NSW Parliamentary Friends of Israel. Mr Secord said the Government determined the chair of the various parliamentary friendship groups so it is now up to the Berejiklian Government to select a new chair – with the defeat of Bruce Notley-Smith in Coogee. He had served as chair from 2015 to 2019. “The parliamentary friends of Israel is one of the largest groups in the NSW Parliament and it is has multi-party support. It supports Israel and the Jewish community – and I am deeply proud to be the senior Labor representative on the body,” Mr Secord said. The Liberals will nominate a new chair in May.